Today I want to talk about the cultural phenomenon that is the "Let's Play" and how important I feel it is not only for gaming as a culture but also for the industry. First of all, what is a "Let's Play"? Well for those of you not already in the know, basically a Let's Play in regards to "video games" is a video in which you watch another person play through a video game, usually whilst offering commentary for the viewers during the play through. Now the basic definition alone may not sound very entertaining, but the fact that Let's Plays have taken the Internet by storm these past few years, becoming some of the most popular and viewed videos available on YouTube and other such video hosting websites says otherwise. So, just exactly why are Let's Plays so popular? I mean video games are by and large a interactive form of entertainment, and for the most part are best enjoyed by actually playing them yourself, right? 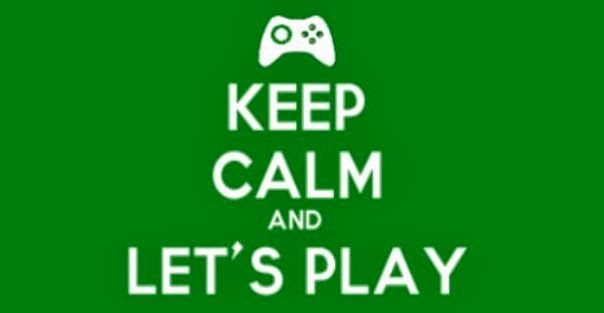 However as I'm sure is the case for many gamers out there, there are or have often been times when watching others play a video game, be they friends, siblings, parents or guardians, can be just as enjoyable and entertaining as playing yourself. Now the reasons as to why this is the case are varied and many, but it is often either because watching a person play who is exceptionally good at a game, seeing how someone responds while playing, or if they simply have an entertaining personality, can be entertainment in and of itself. The same rings true with Let's Plays, only instead of sitting in the same room watching someone play you can now watch and follow their progress online. Putting it simply, the advent of YouTube and other similar video hosting websites, has allowed the makers of Let's Plays to offer their viewers an experience similar to that which many have had whilst watching friends and family play video games, allowing for them to make that very experience a form of entertainment itself. 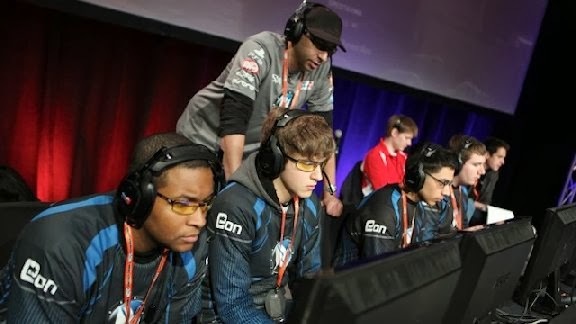 The very fact that Pro video gaming has rose to such prevalence as a spectator sport serves to further prove the entertainment value found in watching others play video games. There are a great many YouTubers who have gained popularity and recognition through making Let's Play videos (as well as offering news, reviews and opinions) such as Angry Joe, the cast of Smosh Games and ClevverGames, "Cryaotic" (aka Cry, aka ChaoticMonki) as well as "Michelle" (aka Mynx, aka TheRPGMinx) But few are quite as popular or as well known as the Swedish born YouTube personality "Felix Arvid Ulf Kjellberg" (aka "PewDiePie") First gaining popularity and recognition through playing Horror games such as Amnesia: The Dark Decent and it's various custom stories, the majority of entertainment and appeal of Felix's early videos came not solely from watching him play whilst doing commentary, cracking jokes and referencing pop culture, but from watching him run back and forth screaming uncontrollably whenever a monster would appear, befriending various pieces of furniture like "Mr. Chair" and the golden statue "Stephano" and yelling out his popular catchphrase "BARRELS!!!" whenever he comes across his self proclaimed nemesis "the barrels" all while attempting to progress through the game. 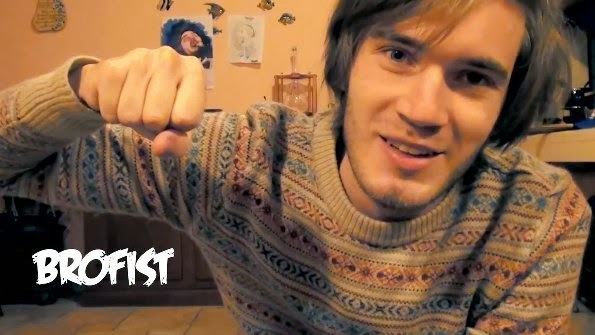 Also Felix always makes sure to keep his audience feeling involved (or as he calls them, his "Bro's") and at the end of each video will "Bro fist" to the camera as a thanks for watching. 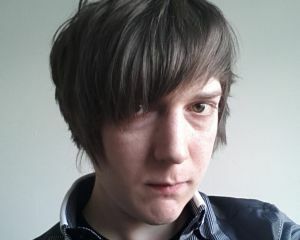 Felix, whilst slowly building up his fanbase began to diversify his videos, incorporating more story driven games and showing his fans Let's Plays of many lesser known but incredibly good Flash and indie games such as Ib, Two the moon and Mad Father. Now boasting a YouTube subscriber count of over 14,000,000 and counting (earning him the guinness world record for most subscribed YouTube channel) along with world wide recognition. "PewDiePie" has also found himself mentioned and/or referenced in one way or another in various indie and Flash based video games. Also, his recent Let's Play videos of popular titles such as The Last Of Us, Outlast and Amnesia: A Machine for Pigs have been some of the most highly viewed videos regarding those games, and at the time of writing his current Let's Play of Beyond: Two Souls looks to be no exception. Whether or not you're a fan of PewDiePie in particular, you really can't deny the entertainment value and appeal that Let's Plays offer. Let's Plays have become such a popular form of entertainment that even companies like Rooster Teeth (Creators of popular Internet shows such as Halo spoof "Red VS Blue" and "RWBY") have created their own Let's Play channel on YouTube, aptly named "LetsPlay" Not to mention popular video game journalists and reviewers such as Zero Punctuation's Ben "Yahtzee" Croshaw, reviews editor for Destructoid.com and host of Jimquisition "Jim Sterling" as well as YouTube personality, PC game critic and self titled "Cynical Brit" TotalBiscuit, have each taken to making Let's Play videos. Now some may argue that Let's Plays actually decrease the potential sales of a game due to potential consumers having already seen a play through, but there is just as much evidence to suggest otherwise. Where as many video game demos are known to be designed to paint a game in a positive light by showing the most appealing parts, Let's Plays offer a way to actually see how a game plays from start to finish enabling the viewer to see as much or as little of a game as they desire, also allowing a potential consumer to make a far more educated decision as whether or not to make a purchase. Now in no way am suggesting that Let's Plays should be used to base all of our video game purchases off of, but they certainly give you much more well rounded view of a games pros and cons, and the fact of the matter is that if a popular Let's Play personality enjoyed playing a game and/or their viewers found the Let's Play enjoyable, then there is every likelihood their fans would want to purchase said game, therefore leading to a potential increase in sales. Believing the above statement to be the case, it does strike me as very odd seeing as just how many companies there are in the industry, that have gone out there way to censor Let's Play videos. Surely they must realise the potential for free publicity, right? Well apparently not. 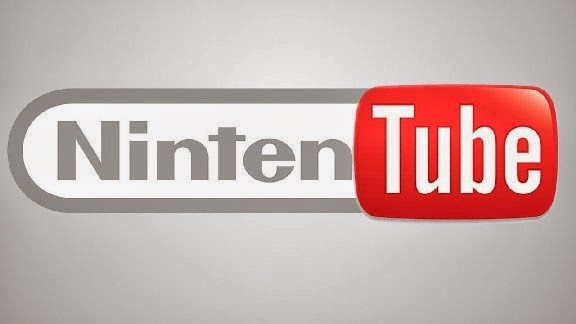 Nintendo have had numerous videos (Let's Plays or otherwise) removed from YouTube under the pretence that the uploaders are "infringing on their copyright" while this accusation may be the case when it comes to a full Let's Play showing of the entirety of a game and/or key moments in it, it does not explain why they have felt the need to have had numerous cutscenes and even trailers for their games removed under the same pretence. While Nintendo have every right to defend their copyrighted products and material from misuse, censoring and removing videos on YouTube and then stating that they want a cut of whatever profits the uploader may have earned,� or may go on to earn through further uploads of Nintendo licensed games, sends a very poor message to their fans and potential consumers. Sega also has a history of removing user uploaded content from YouTube under the pretence of "copyright infringement". Most notably back In 2012 when Sega went "nuclear" on YouTube taking down everything and anything related to their Shining Force franchise (fan made content, trailers you name it) in a apparent attempt to put their upcoming release of Shining Force for the PSP at the top of the search list. Why exactly Sega felt the need to go to such extreme measures is anybodies guess, but the fact that user uploaded content can be so easily removed like that without there being any genuine legal issues or concerns is very disconcerting, especially for those who heavily rely on being able to freely upload such content. The censoring of content on YouTube goes further than simple copyright concerns and petty marketing tactics. Recently, Day One: Garry's Incident developers "Wild Games Studio" had a rather critical review of their game (uploaded by PC game reviewer and critic, TotalBiscuit) taken down under accusations of copyright infringement. However TotalBiscuit �himself commented back saying that he had received his copy of the game from the indie developers under the understanding that he would be uploading a video review for it, going on to further state that since Wild Games Studio had not seen fit to also remove the many other less popular videos of the game under the same claim of copyright infringement, that they were merely using the pretence of copyright infringement as a means to censor criticism of their game. The censoring of content on YouTube goes further than simple copyright concerns and petty marketing tactics. Recently, Day One: Garry's Incident developers "Wild Games Studio" had a rather critical review of their game (uploaded by PC game reviewer and critic, TotalBiscuit) taken down under accusations of copyright infringement. However TotalBiscuit� himselfcommented back saying that he had received his copy of the game from the indie developers under the understanding that he would be uploading a video review for it, going on to further state that since Wild Games Studio had not seen fit to also remove the many other less popular videos of the game under the same claim of copyright infringement, that they were merely using the pretence of copyright infringement as a means to censor criticism of their game. Wild Games Studio's accusations against �TotalBiscuit for his apparent infringement on their copyright, has got to be one of the worst, most deplorable misuses of the copyright act to have occurred on YouTube. Video game companies should not, must not, be allowed to have criticism of their game pulled from the net under the false pretence of copyright infringement. This is blatant censorship and further highlights the gaping hole copyright law currently presents for those companies who wish to undermine freedom of speech in order to censor negativity regarding their products. Marketing is a costly process that can often end up costing video game companies more than the price required to develop a game. One would think then that due to the sheer amount of subscribers many popular makers of Let's Play videos have, that more video games companies would be reaching out to them in order gain free publicity. There certainly aren't many who would pass up the chance to be the first to Let's Play the opening section of Assassins Creed 4 or Killzone: Shadow Fall, in order to help spread word of the game while potentially increasing their viewer base. While it is true that some Let's Plays actually do infringe on current copyright laws, the fact of the matter is that such user generated content is only going to increase in popularity. Just maybe instead of content being censored or removed due to outdated modes of thinking, maybe more should be being done to make the copyright act more applicable to modern day society. So there you have it, Let's Plays are important because they offer us entertainment while also potentially educating us on our future purchases, not to mention helping spread the word for games that may have otherwise gone under the radar, and for offering another avenue to help further popularise big budget AAA titles as well as smaller indie games. If I've gotten any of you interested in Let's Plays then I highly recommend checking out the LP uploaders I mentioned earlier.